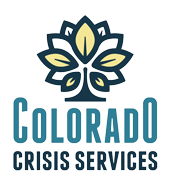 The Adult Resource Center and A New Day Family Resource Center at Mental Health Center of Denver provide food, clothing, furniture, hygiene products, books and more to the people we serve. Donations are very important, and we welcome your contributions today. Click the buttons below for contact information. Most donations are welcome, and the items below are in high demand. Wish list items, like those in the lists below, allow our resource centers to continue being a relevant resource to our community. In addition to our resource centers accepting donations, we have several other programs with wish lists of their own. Please click on the location name to view the list of items requested. Donations to the Adult Resource Center and A New Day Family Resource Center are always appreciated. If you have items that you would like to donate, but are unsure if they will fill a need, please fill out the form below and include photos and descriptions of the items you would like to donate. Someone on our team will get back to you shortly! We are very grateful for the donation partners we have throughout Denver. Their continued support has allowed us to become a relevant and useful resource for our community. Mon - Fri, 10 am - 4 pm.